Along the way, Pope Francis discusses the sanctity of women’s rights, talks about how the love of sports can bring out our best qualities, and explains why fighting discrimination is the essence of loving thy neighbor. He shares personal stories and anecdotes from his life, provides comforting messages of hope, and discusses the ways flawed families can make you a better person. The core ideas of Francis’s papacy—mercy, support for marginalized people, and diplomacy—shine through. Jorge Mario Bergoglio was born in Buenos Aires on December 17, 1936. 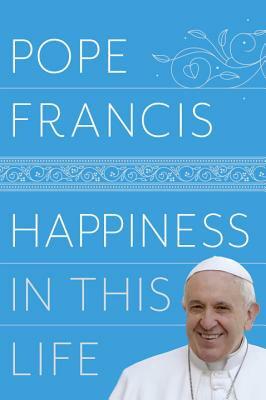 On March 13, 2013, he became the Bishop of Rome and the 266th Pope of the Catholic Church. Oonagh Stransky’s first translation of Pope Francis, The Name of God Is Mercy, was published by Random House in 2016. She has also translated Roberto Saviano, Pier Paolo Pasolini, Giuseppe Pontiggia, Carlo Lucarelli, and others. She currently lives in Tuscany.